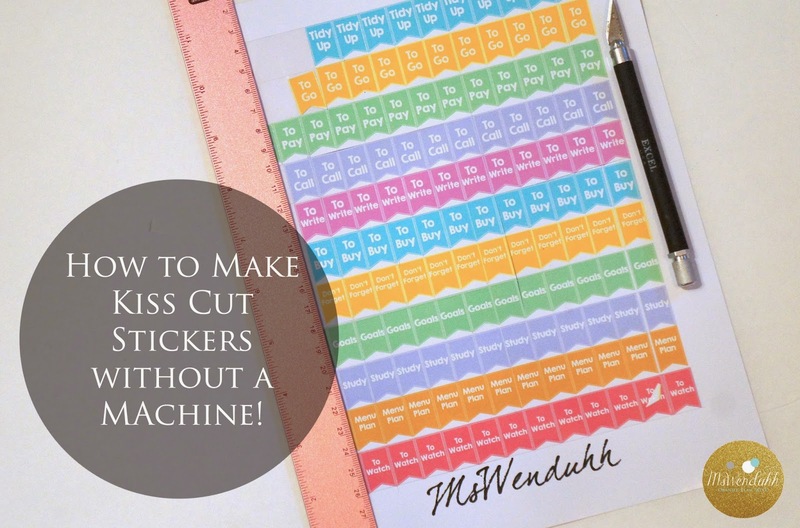 MsWenduhh Planning & Printable: How to Make Kiss Cut Stickers Without a Machine! Just realized I was using the wrong term all along - it's actually "Kiss Cut" not "Die Cut"! Okay you guys, sorry I didn't post this sooner, but I wanted to make sure that I had good quality pictures for this tutorial. 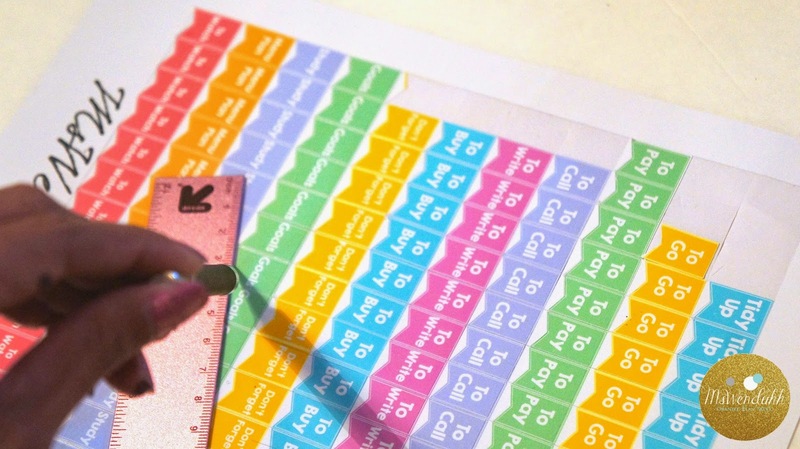 As soon as I received my ink and sticker paper I went crazy printing all my stickers for my planner! 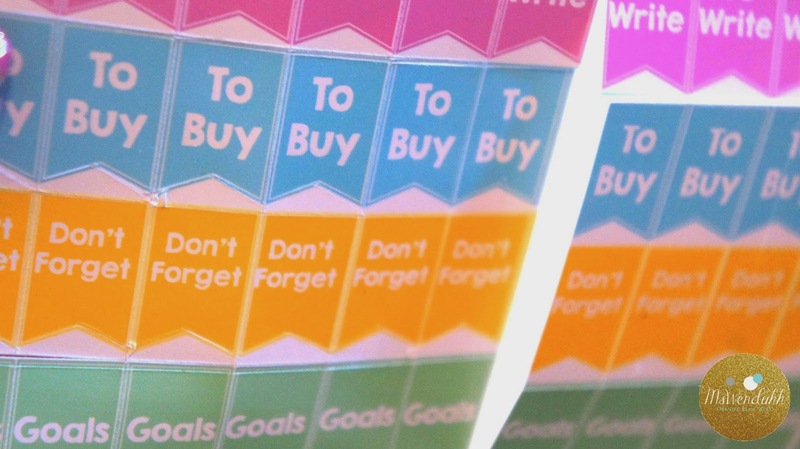 But I didn't want a bunch of small cut stickers everywhere. I really wanted a silhouette and my fiance was like what does the silhouette do? And I told him "it cuts the sticker paper lightly around each shape", and just then an idea popped into my head! Remember this quick tip about peeling your sticker sheet? Well what if I just cut lightly on the sticker itself? Hmm...well I quickly got up and tried it, and voila! Kiss cut stickers! Woop woop! FYI this probably won't be a great idea for more intricate pieces or curves and such, unless you're handy with the exacto knife. 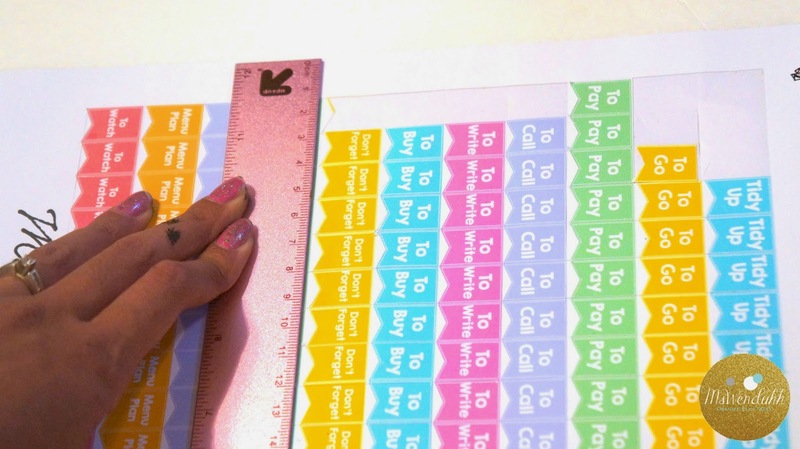 So read on below to see how to make your own kiss cut stickers and keep all of your stickers on the same sheet! No more little stickers everywhere! Woo hoo! 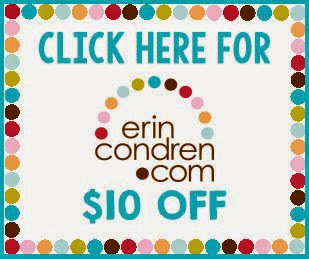 You can find these same printable banner stickers here! 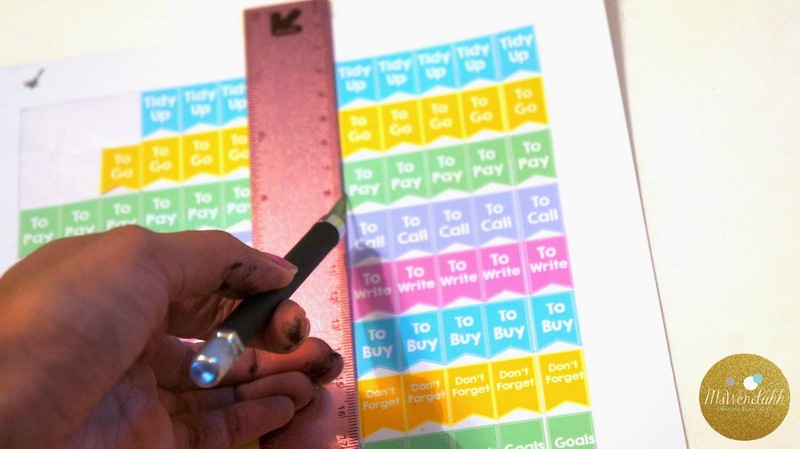 Line up the ruler along the edge of one side of the printed sticker paper and cut down with your exacto knife against the ruler. &...that's basically it. haha. For the flag parts, just angle it and cut along that too. Cut them by columns and rows, and be sure to make each cut meet the previous cut so it peels off easily. 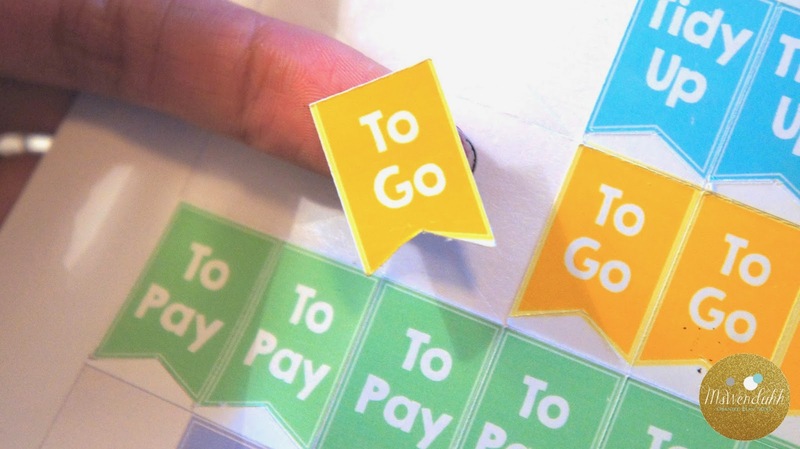 Depending on your sticker paper, you may have to do it with a lighter or heavier hand. Also be sure to always keep the knife against the ruler or else you might stray like I did a few times. Woops! Cut too deep and ripped the paper, remember start with a light hand! Voila! Die cut stickers, ready to use! 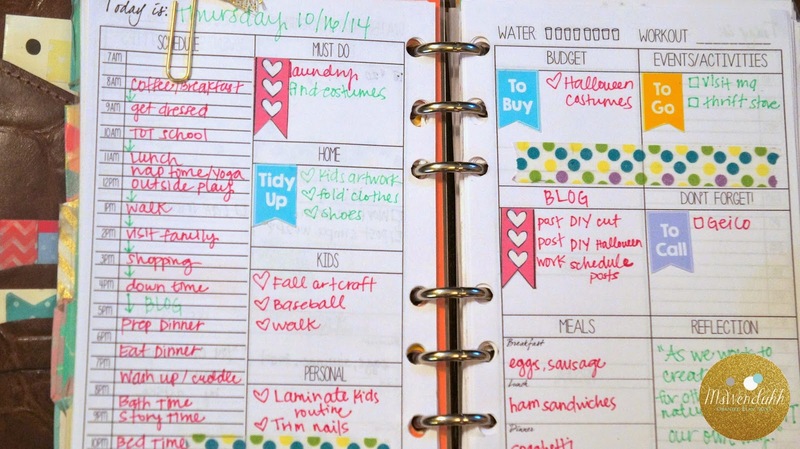 This is how they look on my daily planner pages! When I have used a heavy hand doing this method, I found putting packing tape on the back of the sticker sheet helps keep the paper together. Just thought I would share. 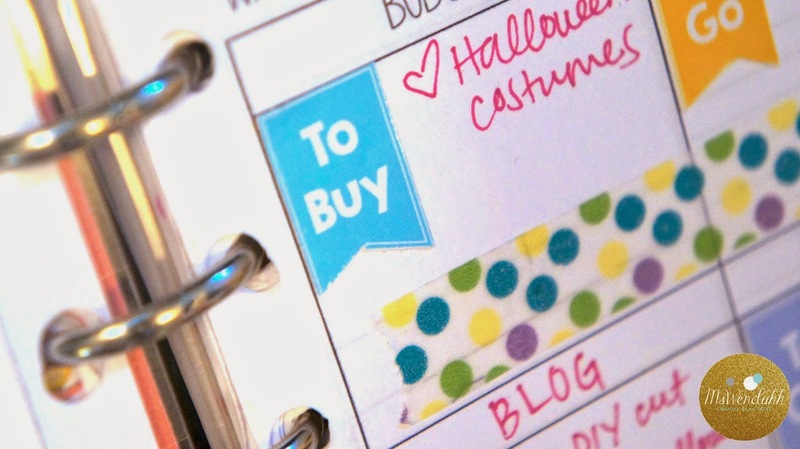 I love your blog and printables by the way! That's a wonderful tip! Thanks for sharing!! Thanks so much for the pintables!! They are very nice. Thank you for posting this! I would have printed them on regular paper or cardstock, cut them out with scissors, and glued or taped them into my planner = way more difficult than it needs to be. Thank you for the idea!